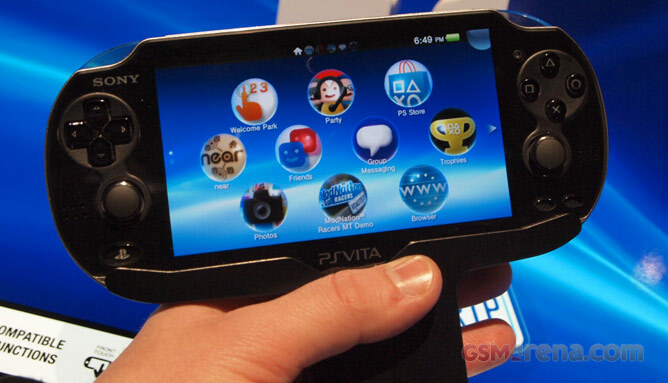 If you’ve owned a PS3 or a PSP, you’ll immediately feel the PlayStation Vita quite familiar. But once you start to dig deeper you will realize that it brings a dramatic improvement to the whole gaming experience, thanks to its bright and crisp 5.5-inch OLED touchscreen, the classic PlayStation controls and the touchpad at the back. We’ll see how game developers take advantage of this brutal three-way control combination in the near future. For now though take a look at how the Vita looks in hand. The Vita doesn’t feel that much bigger or heavier than the original PSP. Of course, it’s not really any slimmer than its predecessor, but you can’t expect such thing from a console which can play PlayStation 3 titles without breaking a sweat. Unfortunately, it’s a fingerprint magnet and if you look closely you can spot that after some playing the base of the joysticks will get dirty. But that’s a small price to pay, really. The Vita is expected to hit the European and U.S. markets in February and we really can’t wait to take it for a longer spin!